Buy Just Natural Organic Wheat Bran - 350g in the UK from our online shop or directly from our independent Scottish store. Add wheat bran to various dishes, like your breakfast, to increase the fibre. Wheat bran is high in fibre. Drink plenty of water when adding bran to your diet. We sell real Just Natural and other Baking Sundries directly from our shop in Scotland and online throughout the UK. Where can you buy real Wheat Bran - Organic safely online? If you are wondering where you can buy Just Natural Organic Wheat Bran - 350g safely online in the UK, then shop with us. 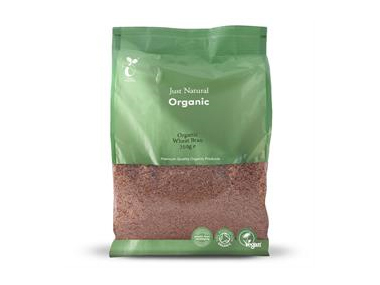 Wheat Bran - Organic - Just Natural Organic Wheat Bran - 350g in Baking Sundries and Baking.